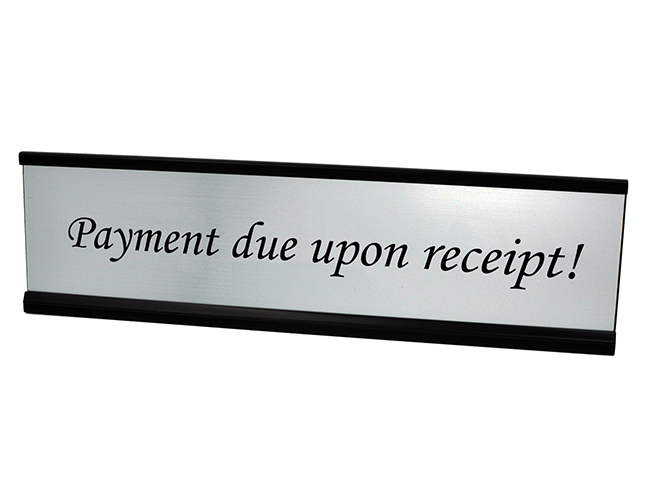 If your place of business takes payment after work is completed, keep your staff-customer interactions professional by posting this "payment due upon receipt" desk plate. Our desk plates are laser engraved and built to last. 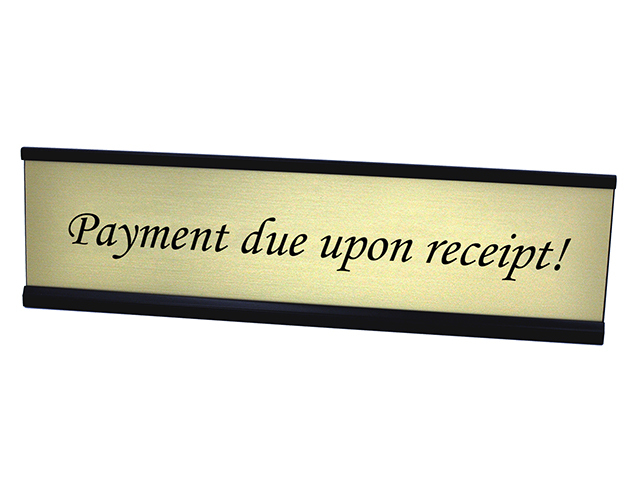 Engraved Brass Desk Name Plate with Business Card Holder 2" x 8"
Let every customer know up front that payment is due upon receipt with this quality engraved desk plate. Display this plate, that is available in silver or gold, at your receptionist or check-in desk and help create a professional interaction between your staff and each customer.